There are three ways to level your Pokémon: Clicking in Another User’s Box, The Click Exchange and Yarolds. 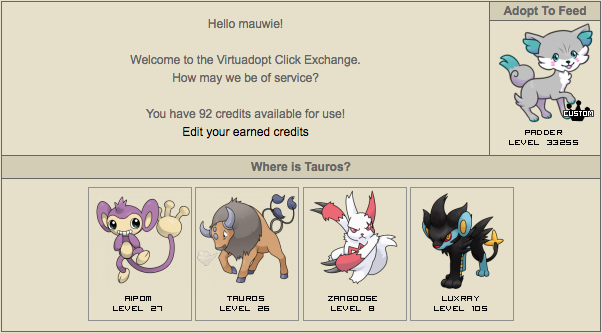 This guide goes into detail on different methods for clicking Pokémon on VirtuAdopt. This guide will also advise on how to use extensions to your advantage. Clicking another user’s Pokémon is straight-forward. When you enter their box, use the left mouse button to click an adopt. You will be taken to a new page and the adopt will have gained a level. How do I click hundreds of adopts quickly? When you are clicking in someone else’s box, you can open multiple adopts at once in separate tabs. Mac (macOS): Hold down the Command key on your keyboard, use the left mouse button to click on each adopt. PC: Hold down the Control and Enter keys on your keyboard, use the left mouse button to click on each adopt. Computer Mouse: Use the middle button on your computer mouse to click each adopt. This is most commonly the scroll wheel. 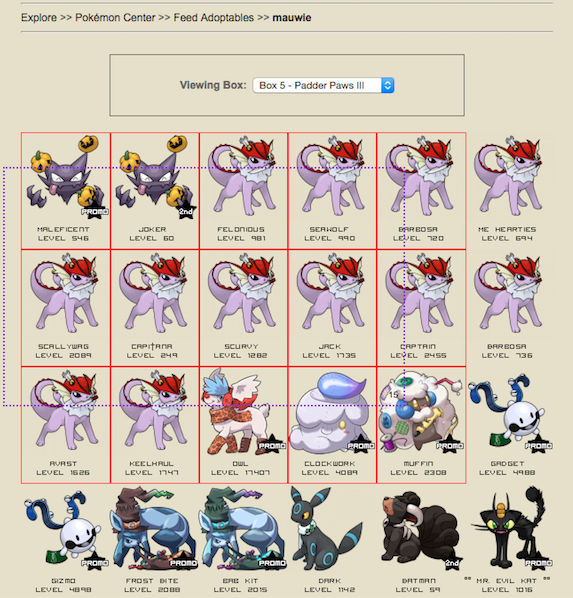 The result will open the adopts in separate tabs at the top of your browser. Make sure to check your tabs to see if you won a prize. How do I move between tabs easily? Mac (macOS): Hold down Control and press the Tab key on your keyboard. PC: Hold down Alt and press the Tab key on your keyboard. Set your Keyboard Shortcut to what you feel comfortable using to move between tabs. In this tutorial, Behavior: Next Tab is set at 2. Pressing the number 2 on your keyboard will allow you to move to the next tab. This will allow you to move left and right between tabs by using the 1 and 2 keys. It will help you search for a prize. The last shortcut set as command+z will allow you to close your remaining tabs quickly by using your keyboard. Note you can also close your tabs by right clicking the top of an active tab and select Close Other Tabs in the menu. 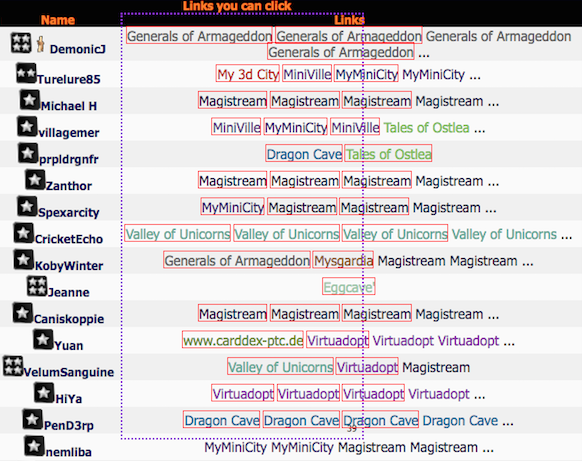 Snap Links for Fire Fox or Link Clump for Google Chrome is another method for opening multiple adopts in separate tabs. This extension allows you to drag a box around the adopts you want to train. 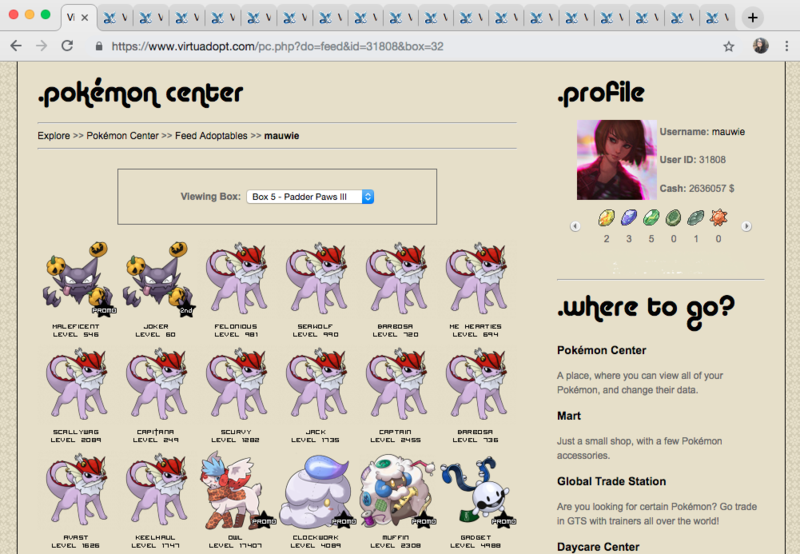 Once the adopts are open, you must toggle between tabs and provide a confirmation click to level the Pokémon. Of course there is the ‘old fashioned’ way to click in the CE: select the correct answer, go back to the main CE page, press the quick feed button, repeat. However, there are other methods that may speed up your clicking and allow you to gain credits quickly. PC: Hold down the control key and press the Quick Feed link with the left mouse button. 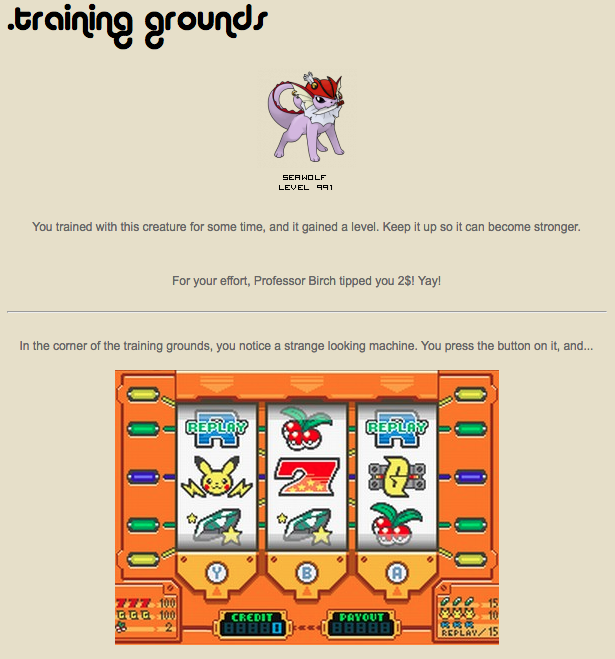 The trained adopt will open in a new tab. While still holding down the control button, press the r key to refresh the page. A new adopt will appear, repeat the process. Mac (macOS): Hold down the command button and press the Quick Feed link with the left mouse button. The trained adopt will open in a new tab. While still holding down the command button, press the r key to refresh the page. A new adopt will appear, repeat the process. Other Method: While on the Quick Feed page, use your middle mouse button (usually the mouse wheel) to open the trained adopt in a new tab. Use the F5 key to refresh the page. A new adopt will appear, repeat the process. Thanks to Akemie for coming up with this method! After 30 seconds, you are required to go back and answer another question. Be sure to check your tabs to see if you won a prize. On this page, you can go back to the click exchange by clicking Go back to Click Exchange! However, there are other ways to go back to the click exchange so you do not have to click the link. Note keyboard combinations may differ per browser and computer type. Lastly, you can use the extension Shortkeys to use a single key to go back to the Click Exchange. Thanks to PokeTrade for creating this script! Now you can use a single key (in this case, Enter) to go back to the Click Exchange. Yarolds is a third party website you can use in order to gain extra levels on your adoptables. It is a communal click exchange site where people from other websites will click your Pokémon and in turn, you click theirs. The easiest way to click in Yarolds is by using the extensions Snap Links for Fire Fox or Link Clump for Google Chrome to open multiple tabs at once. Note that for VirtuAdopt links, if you open in snaplinks/linkclump, you will have to go back and confirm your click. If you open the links with the command+click or alt+click method, you will not have to confirm your click. For more information on how to use Yarolds to its fullest potential, visit their how to section. !! Yarolds is the only external click exchange site VirtuAdopt allows you to use. Using any other click exchange sites may result in a ban.